Agronomist Greg Teske has been recommending Success Neo insecticide from Dow AgroSciences Australia to clients for the past three years. An ideal insecticide for integrated pest management, Success Neo kills caterpillars without harming beneficial predators. A major benefit is that the insecticide remains active for longer, reducing the frequency of spraying for farmers, and saving them money. 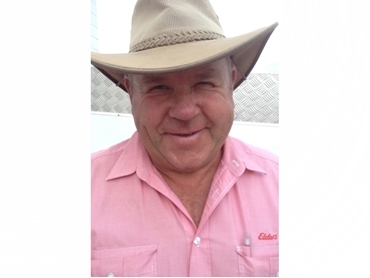 Responsible for farm supply sales for Gatton Elders in Queensland, Greg says that Success Neo offers a host of benefits for his clients. Being translaminar, its application to the top of a leaf will move the insecticide through the leaf and still work on eggs that hatch on the underside. It has good residual activity in mature leaves, and is safe on beneficials such as ladybeetles. Greg works in the Lockyer Valley, which is famous as a salad bowl, and has seen the benefits of Success Neo on many crops including brassicas, rockmelons, honeydew melons, capsicums and tomatoes. Among others, Success Neo controls diamondback moth in brassicas as well as cabbage white butterfly. It is proven to work on any Lepidoptera and is also a good control for western flower thrips. Greg recommends Success Neo for lettuce growers, with its ability to kill Heliothis eggs before they hatch and destroy the crop. Growers no longer need to spray three times a week, and the insecticide does not kill the beneficial insects. The application frequency of Success Neo depends on the temperature. For instance, when the temperature is below 20°C, growers can go as long as 10 days between sprays. Based on a naturally occurring active ingredient, spinetoram derived from a soil bacterium that poses minimal risk to people and animals, Success Neo has a withholding period of only three days, making the insecticide ideal for selling into export markets. Success Neo belongs to the Group 5 family of chemicals, which have a novel mode of action.